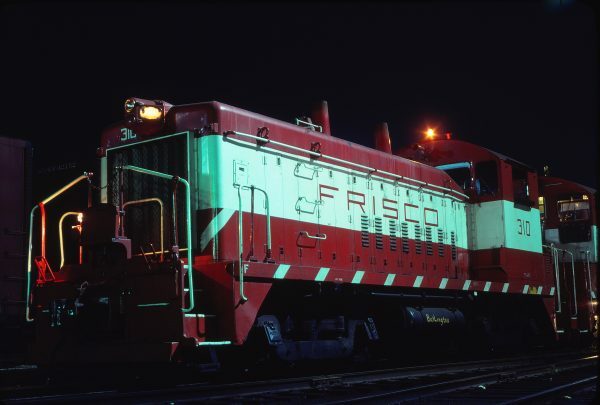 SW9 310 at St. Louis, Missouri on September 1, 1980. SW9 265 (Frisco 310) at St. Louis, Missouri in June 1981 (Ken McElreath). SW9 313 at St. Louis, Missouri on August 31, 1980 (John Benson). SW9s 310 and 313 at St. Louis, Missouri on April 20, 1980 (John Benson). 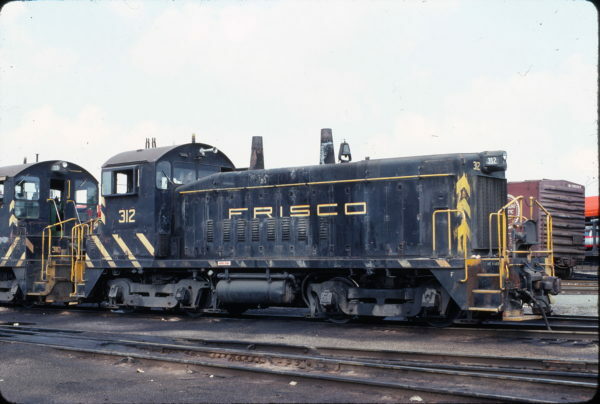 SW9 313 at St. Louis, Missouri on August 31, 1980 (Bob Wilt). 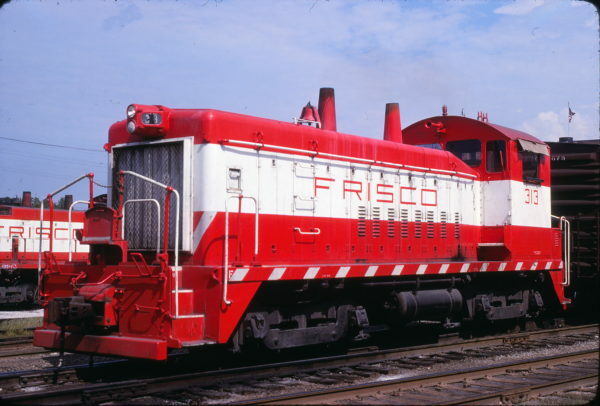 SW9 305 at Birmingham, Alabama on May 28, 1972. SW9 313 and S-2 292 at Memphis, Tennessee in July 1962 (Al Chione). 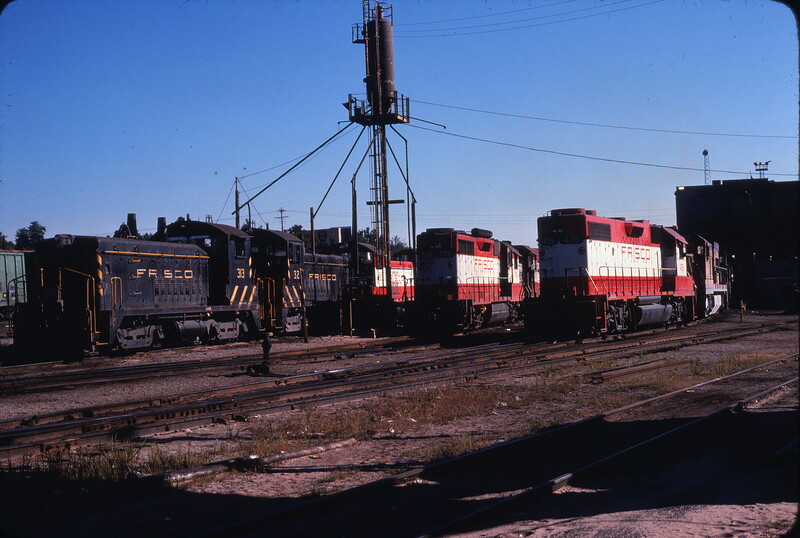 SW9s 313 and 312, GP35 706 and GP38-2 428 at St. Louis, Missouri in October 1978. 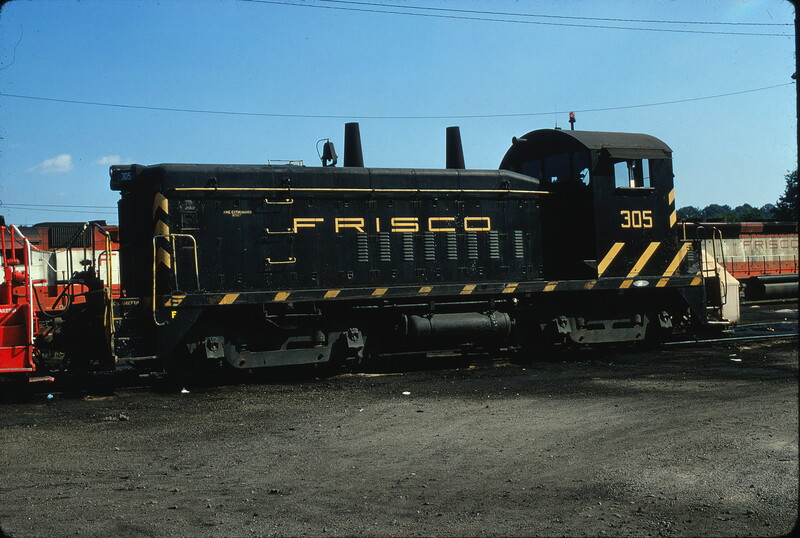 This photograph was taken on the north side of Lindenwood Yard. This late afternoon shot is of the Mechanical Department’s service tracks area east of the Lindenwood Diesel Shop. In silhouette on the right of the image is the east wall of the shop. 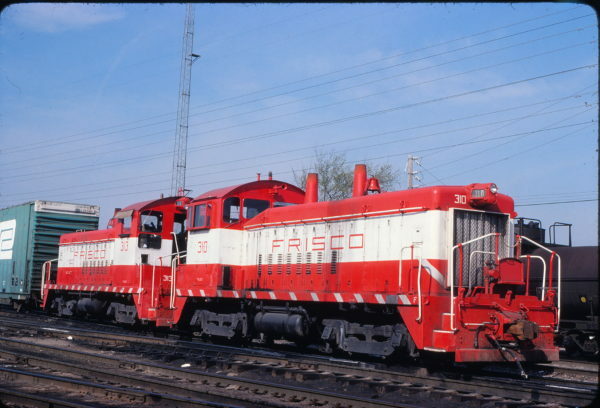 Two additional locomotives can be identified in this view. 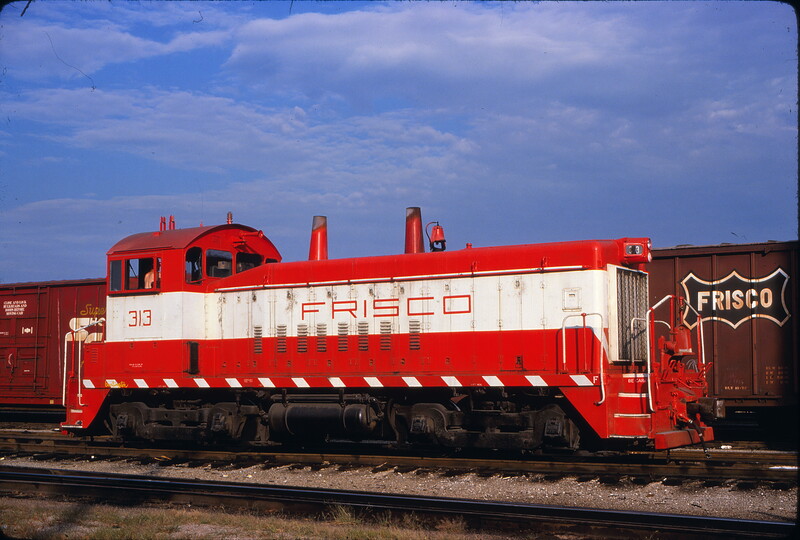 The locomotive in front of SW9 312, in mandarin orange and white paint is NW2 257. 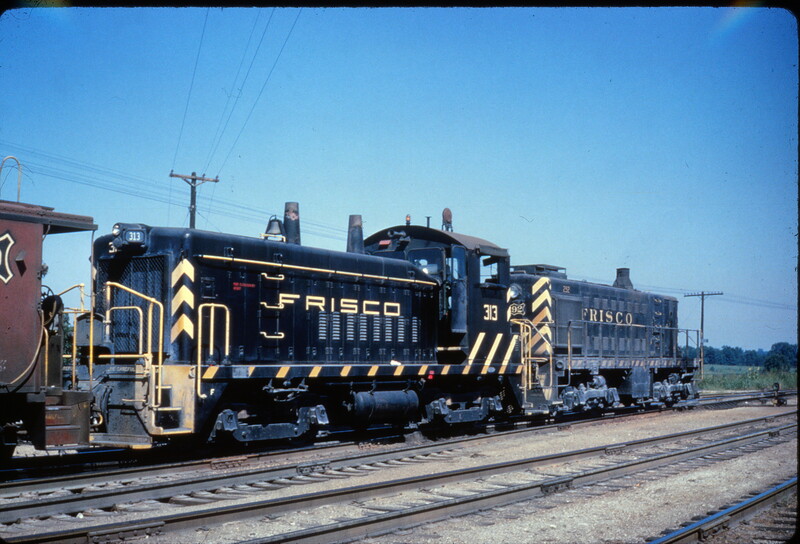 On the same track as but to the west of Frisco GP38-2 428 is Union Pacific (UP) U30C 2815. The view is looking to the southwest. 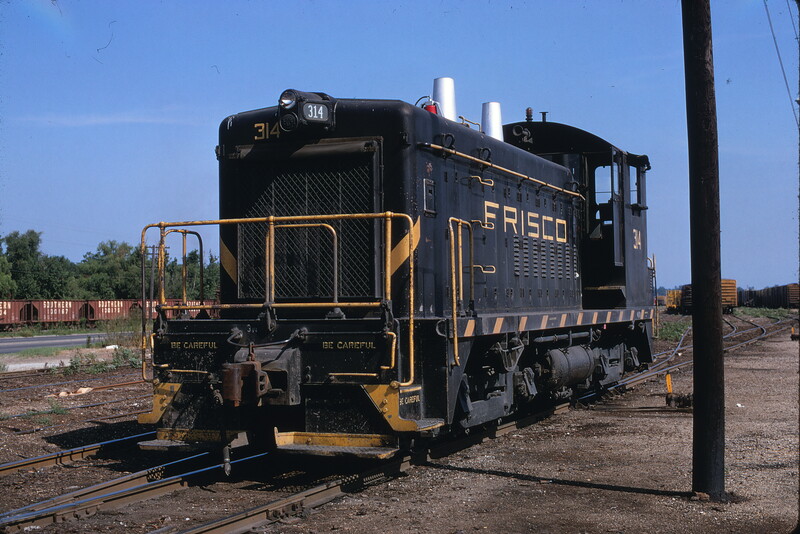 SW9 314 at Mobile, Alabama on July 9, 1969. SW9 312 at St. Louis, Missouri on August 11, 1978.